Still riding the reader high from Jojo Moye's latest book, "One Plus One", I hesitated starting a new book. In fact, I wanted to start "One Plus One" over again! It was an excellent summer read, light, entertaining, and a happy ending. 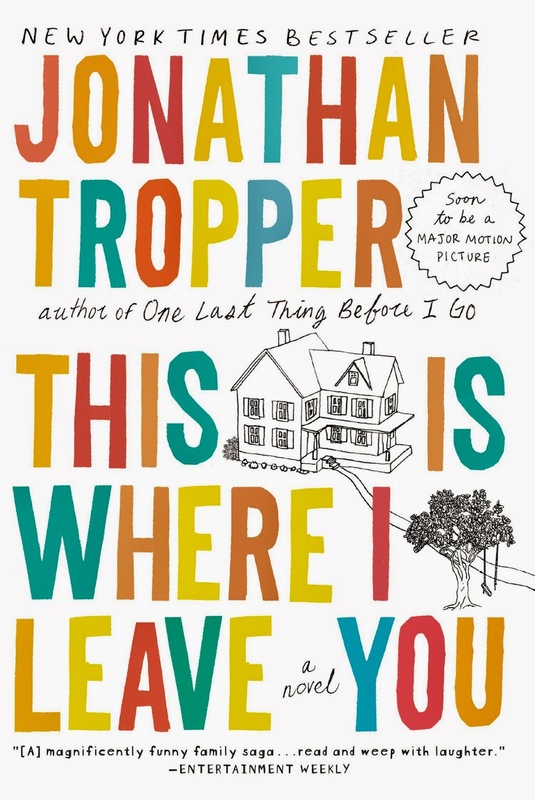 "This is Where I Leave You" is actually set to be a motion picture this year, and the reviews have been terrific. So far, I have read about Judd- a down on his luck divorcee with a killer story to tell. I am excited to see how this all plays out. What are you reading right now?